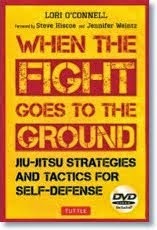 One time, when I went to visit Scott Hogarth at his Dojo in Milton FIGHTING GRIFFIN for an exchange (I badly wanted to learn his Seipai Kata! ), I remember walking into the Dojo and hearing some nice, funky music coming out of some loudspeakers. He was on the floor practising the Kata the angels of Karate had whispered the name of in a dream – Seipai. Scott was back then, and still is, an innovator. His innovations are based on a solid background in technique. His Seipai was, to say the least, classical Karate to the core, yet I could see he was still having loads of fun just bending it with the music and seeing where it would take him, much like a musician who has brought his instrument – in this case Seipai – to a jam session. Never lacking in passion, the musician dives into some startling riffs, clusters of notes that he signaturizes…yet without ever abandoning the classical format. I thought: Man, I’m familiar with this sort of thing from Kung Fu…the drums, the cymbals…either during a lion dance or during the performances of a form, particularly in the Southern systems. His delivery was perfectly natural. I don’t think he had much studying to do in order to get that line right; it was based on experience. His training to music seemed to come just as naturally. Why not? I started to play around with the same concept, some days training to the beat, so to speak, some days without. It’s fun. Sometimes, when working on a Tai Chi set the old way, searching for the lines of power, holding the postures, etc., music in the background might prove to be a distraction. For those occasions, you might just want to listen to the breeze ruffling the curtains at an open window. 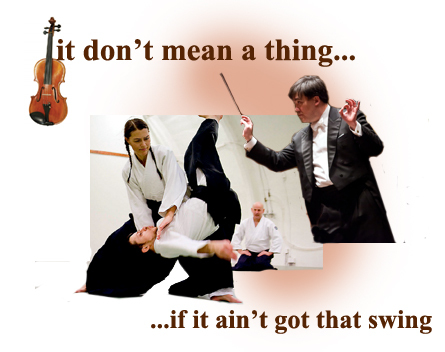 Or the swish of an Aikido hakama may be the music that suffices in a universe filled with ki. Nevertheless, there are times when cranking up the volume does serve to motivate or just to loosen life up. I’m still trying to find a tune from my favourite band Radiohead that would juice up my Kata/forms. For those readers who love jazz, I tried Chet Baker’s version of Elvis Costello’s ALMOST BLUE, the one from the Tokyo Concert. No, don’t go there. I once wrote about a woman at 1:00 a.m. gazing across a city landscape at 1:00 a.m. with Chet’s tune looped in the background, and by God, it turned out to be a stream of consciousness moment where I went from Almost Blue to Mingus’ Goodbye Pork Pie Hat, stuffed with a few images of the artist Giacometti’s leaning figures, and then some. 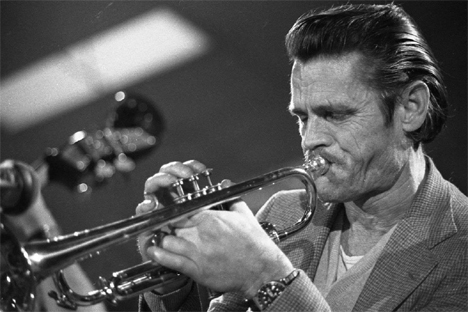 Ideal, perhaps, for the downward spiral of Chet Baker’s final years, that man with such a huge talent. Like Miles, Chet could play one note and it would grab you right away. But not the stuff of Sepai. On the other hand, here’s a little number that will make the spirit bounce while training anything quick limbed from Judo randori to a few rounds of Muay Thai. I don’t know about you, but I don’t recall hearing this version of Mary had a Little Lamb back in my days in Kindergarten! Historically speaking, music has played a significant role in martial culture across the globe, either as a means to motive and inspire the ranks of soldiers before the onset of battle, and equally, to instill fear in the enemy waiting on the other side of the battlefield. The story of the Battle of Jericho, when the people of Israel conquered the first city in Canaan, is indicative of both the motivating and intimidating qualities of music per se. For six days, the Israelites marched around the city once, and on the seventh day, they marched around its walls seven times whereupon the priests blew their ram’s horns, and amidst lots of shouting, the walls came tumbling down. Historically as well, armies returned from the field of battle and used song as a means of recounting deeds performed. War songs have been a part of the oral traditions of many cultures. the great American novelist Richard Powers wrote THE TIME OF OUR SINGING , a complex work that deals in part with civil rights, anti-Semitism, music and physics. Capoeria…Muay Thai…Pencak Silat…Zulu Stick Fighting…martial culture and music seem to go hand in hand. 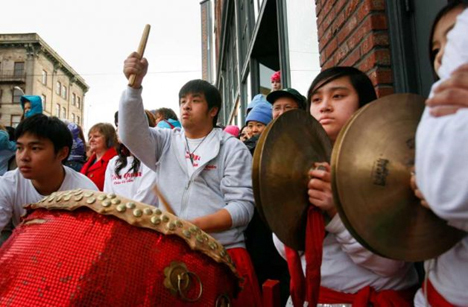 "Rhythm is defined as any kind of movement characterized by the regular recurrence of strong and weak elements. All things in the universe have rhythm, whether external, like music, or internal, like the atomic structure of a rock. The martial arts are no exception, and the student who has a sense of rhythm will improve in karate much more quickly than one who does not. It would be of great assistance to a karateka to become involved in the rhythmic occurrences in everyday life such as music, dance, and so on. This will lead to a unification of the mind and body which will serve as the firm foundation for growth and excellence in any undertaking." 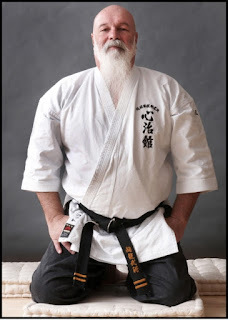 Hanshi Scott Hogarth has been teaching martial arts at his own club for over 35 years. 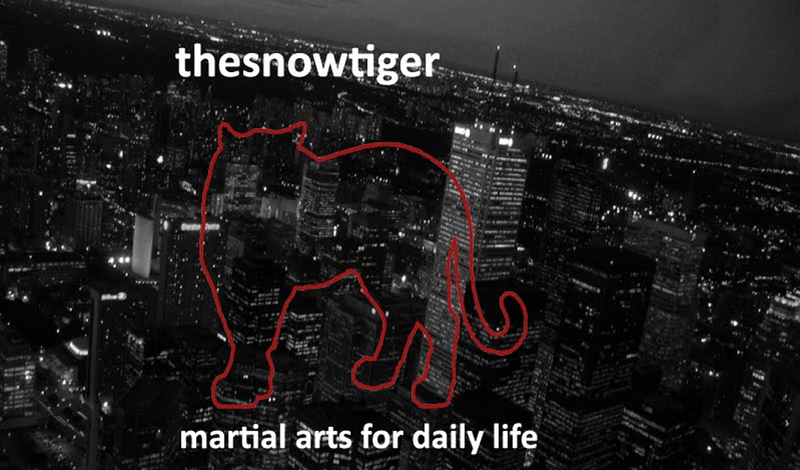 While he holds Master titles and black belts in 7 martial arts styles, he has chosen to teach traditional Okinawan Go Ju Ryu Karate and Hapkijitsu at Fighting Griffin Martial Arts. Hanshi Scott has appeared as an actor, stuntman and a fight choreographer in 10 action movies over the years. A martial artist with integrity, strength and compassion, Hanshi has been teaching with the Halton District School Board for over 20 years. He has also served our community as a firefighter and a paramedic.